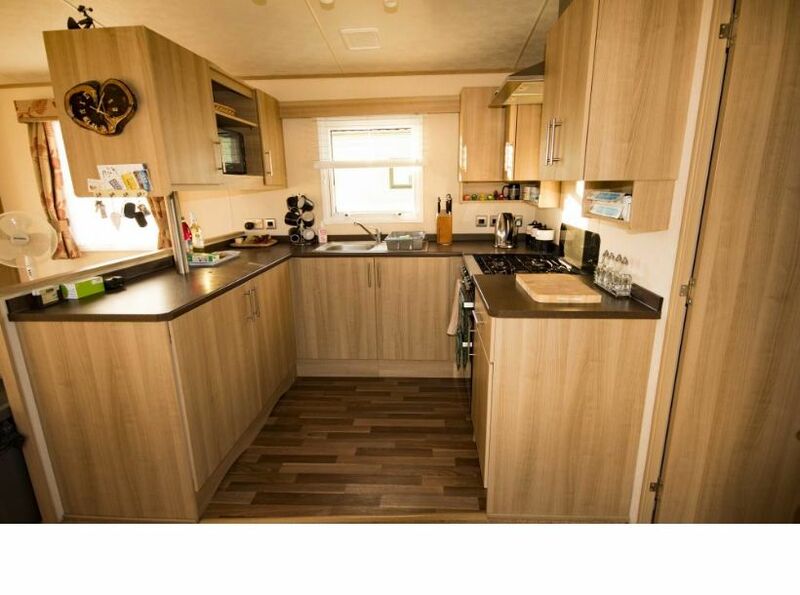 Our caravan is a six berth ABI Derwent and has all facilities that you would expect in a modern caravan. 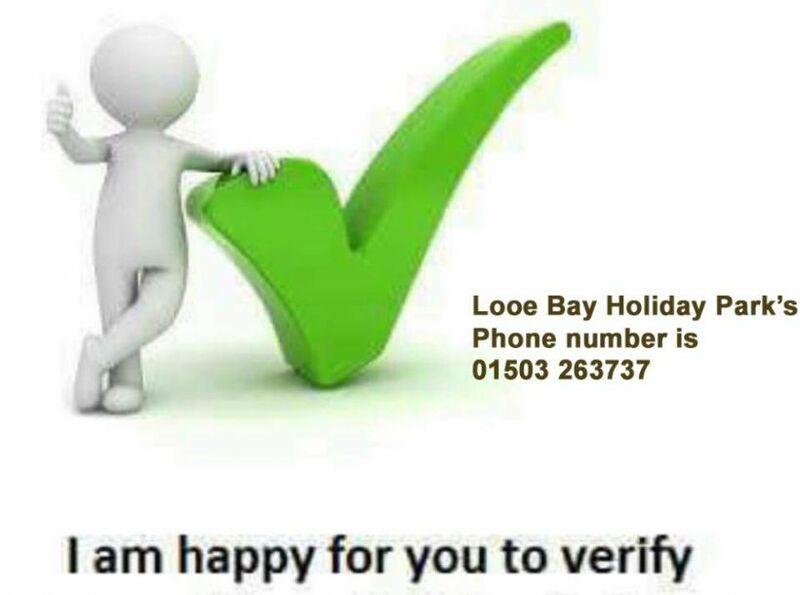 It is on the Parkdean Looe Bay Holiday Park in one of the quieter parts of the park with beautiful views over the surrounding countryside with a small glimpse of the sea. There are two bedrooms and a sofa bed in the lounge. The kitchen is fully equipped. 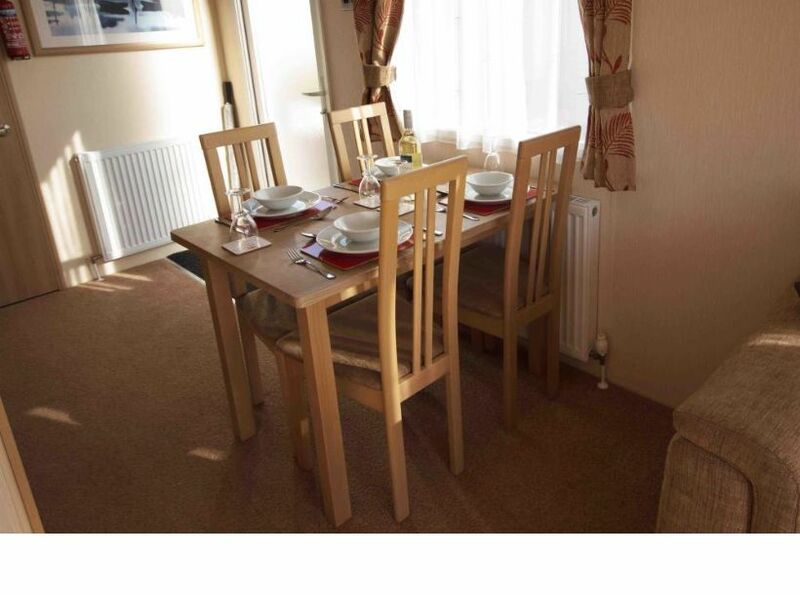 Our caravan is a six berth ABI Derwent and has all facilities that you would expect in a modern caravan. New for 2019 is replacement carpet all the way through, a 3-seater sofa bed and 2-seater settee in in the lounge. 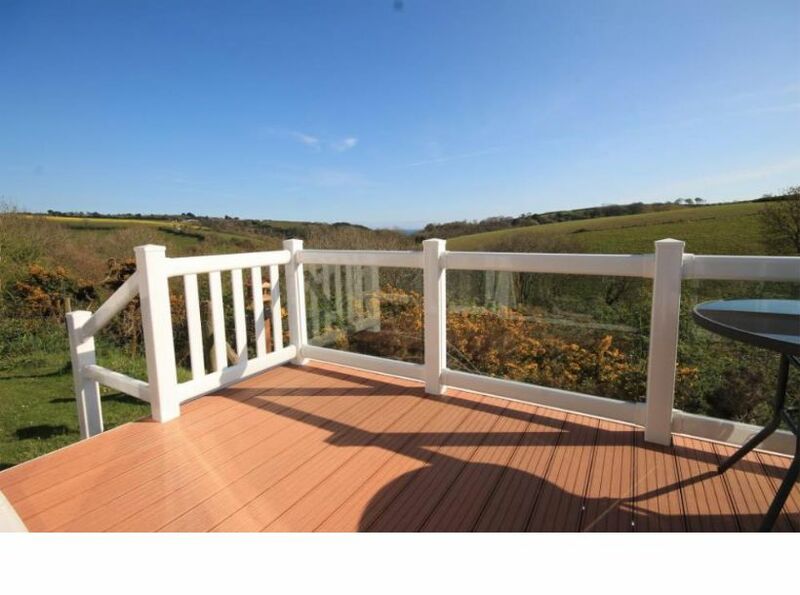 We are on the Parkdean Looe Bay Holiday Park in one of the quieter parts of the park with beautiful views over the surrounding countryside with a small glimpse of the sea. 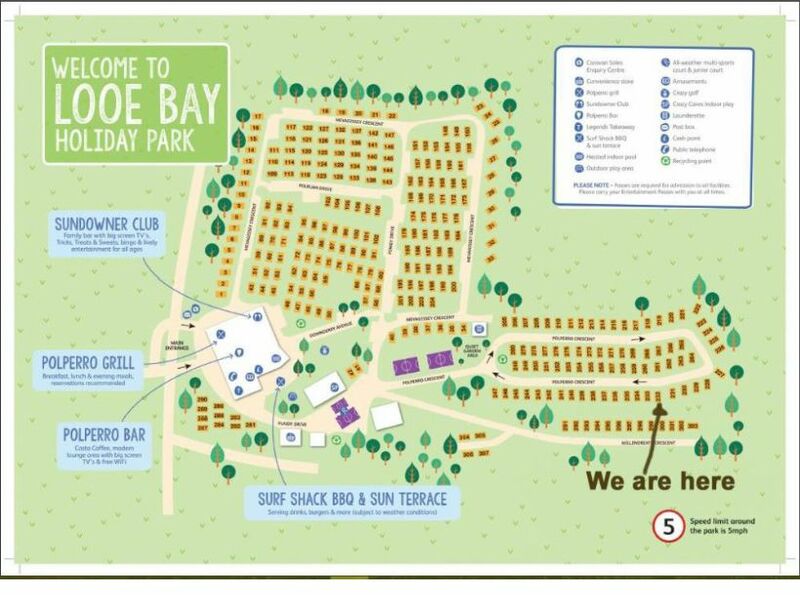 The Park is just a short distance from the picturesque fishing village of Looe with its lovely sandy beach. Millendreath beach is reached from the road next to the holiday park. 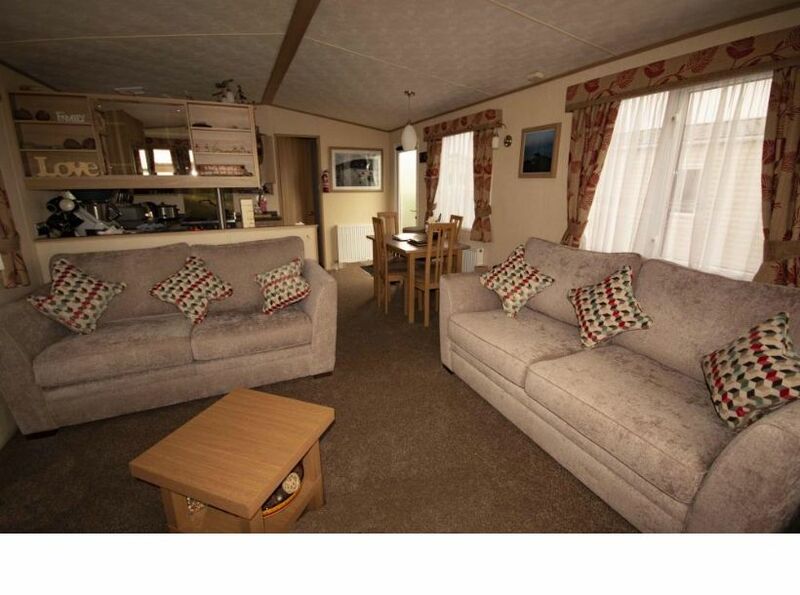 Our caravan has two bedrooms which are separate from the living area. There is a double bedroom with a 5-foot-wide bed, an en-suite with toilet and sink, a hairdryer and a flat screen tv. The other bedroom has two single beds. Both bedrooms have plenty of storage space and there is room in the double bedroom to put up the travel cot that we have available. The lounge also sleeps a further two people, making 6 berths in total. Bed linen is provided, and the beds will be freshly made up for your arrival. We do not, however, have bedding available for the travel cot, if you are being accompanied by a small person who will need the travel cot, you will need to bring bedding with you. The large lounge has a 3-seater sofa bed and 2-seater settee, a full size curved screen Smart TV, Blu-ray player and sound bar with a selection of DVDs available to watch and a few Blu-ray discs, board games and cards. There is a small library of books. Our caravan has full central heating and there is a fire in the lounge. The kitchen is fully equipped with full size cooker, fridge, freezer and microwave, as well as a kettle, toaster, pots and pans etc. There is a dining table and chairs. There is also an iron with a full-size ironing board. 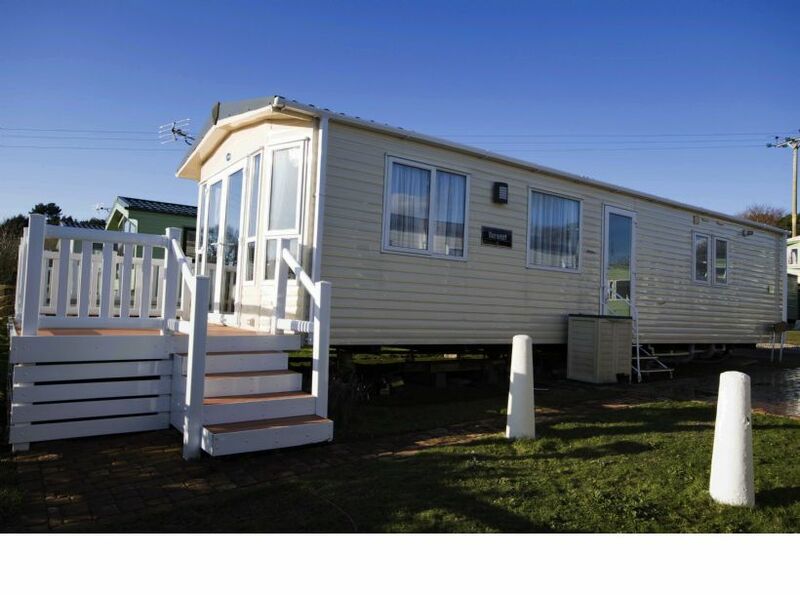 At the front of the caravan, which overlooks the countryside, there are French doors that open out onto a decking area with a patio table and chairs. There are steps from the decking area down to the car parking space. Beds will be freshly made up for your arrival and tea and coffee will be available, together with a bottle of squash for the children. We also like to provide our guests with a bottle of wine for their arrival and offer a choice of either red, white or rosé. Gas and electricity are included in the price, however, we do not include the cost of the passes for the entertainment complex, these are available from reception at a nominal cost of £5 per person and over 3's per week. You will need to bring your own personal towels and towels for the swimming pool/beach and also tea towels.